Professional and Experienced Driving Instructors Servicing the South Eastern Suburbs of Melbourne, Victoria. With over 20 years of driving experience, our driving instructors will endeavour to teach you the right skills for safe driving and confidence for all types of traffic conditions. We recognise our students have different personalities from shy and nervous to bold and confident which is why we cater for everyone. Our fully licensed instructors drive dual controlled, air-conditioned cars with insurance and are registered with the government (taxi directorate). We use the latest teaching methods in a friendly and patient environment. Our recongnition comes from our first time, high test pass rate. We offer a wide range of driving services and cater for everyone. Our qualified instructors will ensure your first driving lesson is the best. Get the required training from us so you can pass your driving test. Our instructors will assist you in building up your experience. We can help you with your overseas licence changover. Require an automatic or manual licence? We've got you covered. Not happy with your current instructor? Give us a call today. The driving instructor I had from A to Z Driving School was absolutely fabulous and helped me get my drivers licence. I would like to thank Roni for assisting me. He was very patient and understanding, especially with my lack of confidence at the start. Superb knowledge of the rules and his learning system is rock solid! - Highly recommended! At first I was nervous but my driving instructor put me at ease and now I am confident to go for my test. Thanks again! 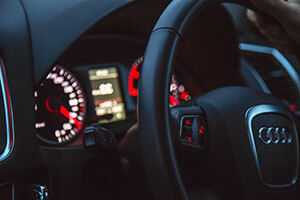 Whether you're a learner driver or trying to get more practice or ready to get your probation license, we offer great and competitive pricing to keep you in good hands. Ready to book your driving lesson. Thank you for your interest in A to Z Driving School. For bookings, please contact us using the information below or send us an enquiry direct. We are a fully qualified driving school offering driving lessons in suburbs such as Berwick, Narre Warren, Beaconsfield, Pakenham, Rowville, Hallam and Dandenong. We are Keys 2 Drive accredited and you can be eligible for a free lesson.